Once Royal Navy (RN) officers have completed their Phase 1 initial military training at the Britannia Royal Naval College (BRNC), Dartmouth, and their Phase 2 specialist training courses they will move on to their next batch of training and education, which is termed command and staff training (CST). All residential Phase 3 generic CST courses for officers up to Lieutenant Commander Rank are delivered by the Royal Naval Division of JSCSC. Officers receive a significant amount of leadership training as part of the Phase 1 Initial Officer Training package, which is also delivered by the Royal Navy Leadership Academy (RNLA). Subsequently they also undertake Junior Officer Leadership Course One immediately prior to commencing their first complement appointment and will, in due course, undertake a 2-week continuation leadership package in the form of the Junior Officer Leadership Course Two. 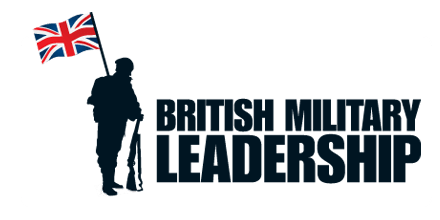 The RNLA facilitates leadership development to both RN and Royal Marines officers on the Junior Officer Development Programme. Attendance at JOLC1 & 2 RNLA Career courses are booked through the individual’s Career Manager and notification is received via workflows on JPA. The Junior Officer Leadership One (JOLC1) is designed to build on the Command, Leadership and Management (CLM) training that junior officers received from their time at BRNC as a Cadet; broadening and developing their ideas of CLM theory and how it applies in practice prior to taking up their first assignment. JOLC1 is delivered by the Royal Arthur Squadron, part of the RNLA, and is located at HMS Collingwood. The Head of Department Course (HODC) is, currently, a 3-day course designed to prepare prospective Heads of Department for the CLM challenges that they will face on taking up their Charge appointment. This course is currently under review to ensure that it is fit for purpose (correct October 2013). The 8-week Intermediate Command and Staff Course (Maritime) (ICSC(M)) is delivered by the Royal Naval Division of the JSCSC and is designed for newly-promoted Lieutenant Commanders, and mid-to-late seniority Lieutenants, in the RN. The role of the ICSC(M) is to prepare and equip RN Officers for future command, charge, and staff appointments. Each course caters for up to 50 students and occurs 5 times a year. How maritime power contributes to Joint and Combined operations. Command, Leadership, Management & Ethos. Strategic Studies: The International Environment and UK Defence Management. Maritime Studies: Strategy, Environment, Capabilities, and the Royal Naval Service. Joint Studies: Capabilities, Environment, and Joint and Combined Operations. Since April 2011 it has been a pre-requisite for consideration for future selection for the Advanced Command & Staff Course. Student achievement on the course is assessed through formative and summative testing, as well as broader assessment by the teaching staff. A Pass/Fail approach to the ICSC(M) has been adopted, with opportunities for students to gain Merit and Distinction passes. The ICSC(M) is accredited by the Open University (OU), at both undergraduate and postgraduate level, by the Chartered Management Institute (CMI) and by the Institute of Leadership and Management (ILM).